The rate of golden staph infections is on the rise in Victoria and Western Australia, with men and older Aussies more likely to fall victim, research reveals. Doherty Institute experts found Staphylococcus aureus bloodstream infections acquired in the community had increased between January 1, 2011 and December 31, 2016. "The incidence in each state increased significantly during the study period: eight per cent per year in Victoria and six per cent per year in WA," according to the research letter published online by The Medical Journal of Australia. A total of 10,320 staph infections were reported during the period with the majority in Victoria at 7262 and 3058 in WA, the study found. About 66 per cent of those cases were acquired in the community, not in hospital settings. 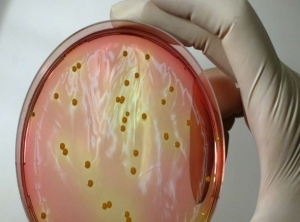 The rate of community-associated golden staph infections is also higher among older people and men, particularly those aged over 60. Men were found to be about twice as likely as women of the same age to get the infection. "It is notable that residents of aged-care facilities have been identified as being at particular risk," the study states. Golden staph is a common bacterium on a person's skin or in the nose and can cause infections when it enters the body through a cut. The research is based on data collected from 93 Victorian and 58 Western Australian public hospitals during the period in question.